dg classification enables the optimal use and management of your data and information on file servers in ECM systems, SharePoint, e-mail and many more. Automated data structuring increases the efficiency of your information management, e.g. in archiving, compliance and monitoring significantly. 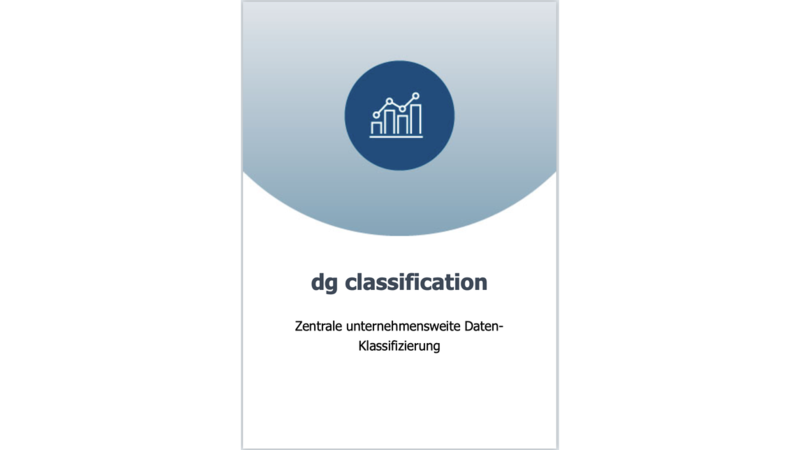 dg classification 2.0 can also be used to increase the effectiveness of other applications, e.g. The company-automated classification of all data opens up new opportunities to increase efficiency and reliability. dg classification ensures automatic archiving and rentention management of all data. Increase the performance of your DLP solutions with detailed protection rules based on dg classification. Classification can be used to decide which data to push to the cloud and which not. The accuracy of the search and eDiscovery are increased by the use of dg classification as a filter. Improve the efficiency of your HSM solution with better migration rules based on dg classification. By using sample files to define document types instead of the file content definition, implementation time is dramatically reduced. Since document types are now completely media independent, this will work for any type of document, such as Invoices, mails, SharePoint objects, scans, DMS content etc.